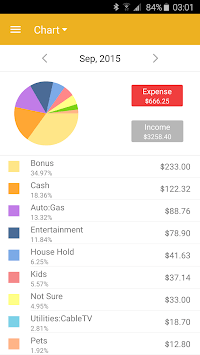 An easy & quick way to manage your daily finances! 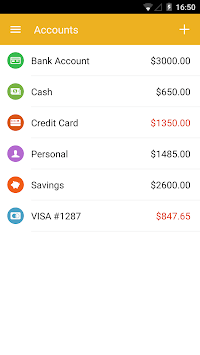 Checkbook keeps track of your credit card charges, cash expenditures...etc. With Checkbook application, it can totally replace your paper checkbook register. You can create multiple accounts with start balance, save recurring transactions, transfer funds, view reports & graphs, export data...etc. You can even search the transaction by crossing your finger on the calendar! All details of the Checkbook are well designed to provide excellent experience. 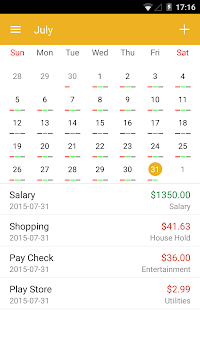 -Track transactions by tapping a date on the calendar. -Quickly search for transactions by account name, payee, notes and category. If your have any problems or suggestions please send a mail to [email protected], you will get the response in a short time.